HomeFake ID Usage in the U.S. Fake ID Usage in the U.S. Fake IDs have, unfortunately, become a part of American high school and college culture. The practice has even been immortalized in many films, like Superbad. 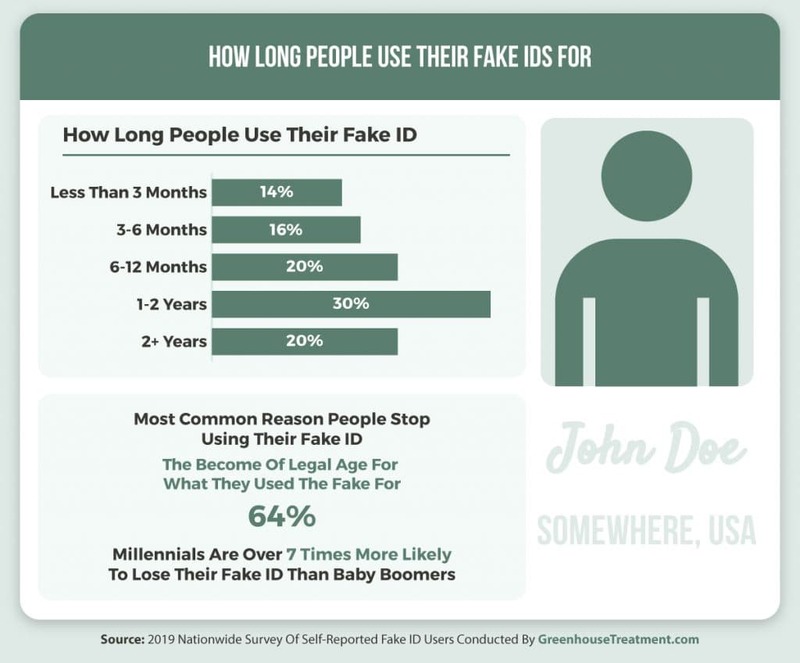 Here at Greenhouse Treatment, we wanted to learn more about how and why people use fake IDs. 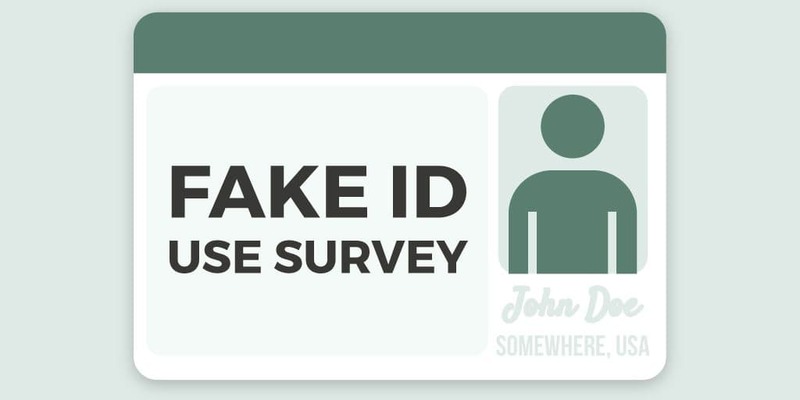 To find out, we conducted a survey of hundreds of people from across the country that have admitted to owning and using a fake ID in the past to find out how they got them, what they were used for, and more. One of the things we were most interested in seeing was how old people were when they got their fake ID. Interestingly, the results indicated that younger generations tended to wait longer to get one, with over 50% of Gen Xers and nearly 60% of Millennials waiting to get a fake ID until they were over 18. By contrast, the majority of Baby Boomers surveyed indicated that they got their fake ID when they were 17 or younger. We found interesting differences along generational lines when looking at how people got their fake ID in the first place as well. 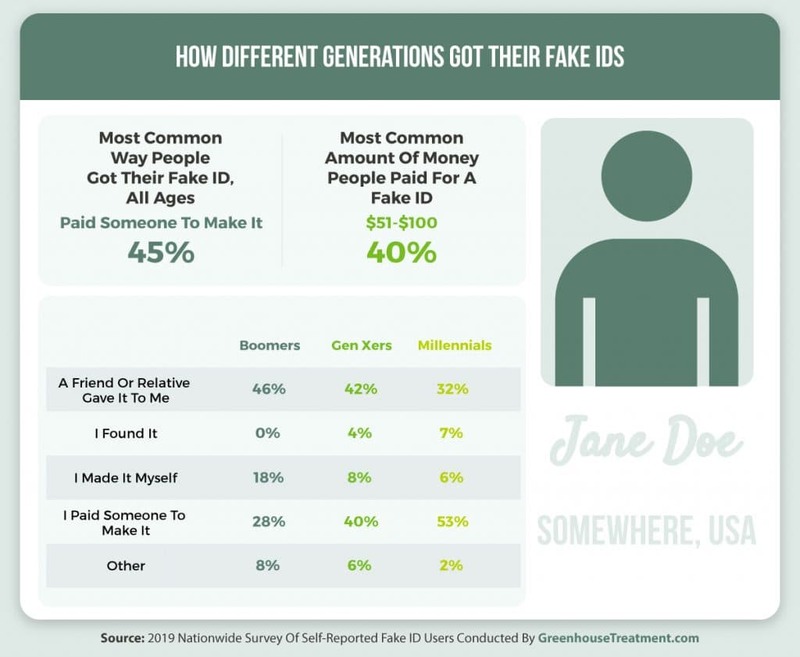 While the most common route Boomers and Gen Xers took to get their ID was to get it from a friend or relative, more than 50% of Millennials with fake IDs paid someone to make it for them. Given that info, it’s really no surprise that paying someone to make a fake was the most common way people got them overall. We found that among people that paid for their fake ID, the most common amount people paid for it was between $51-$100. Now, let’s talk about the various uses our respondents had for their fake IDs. 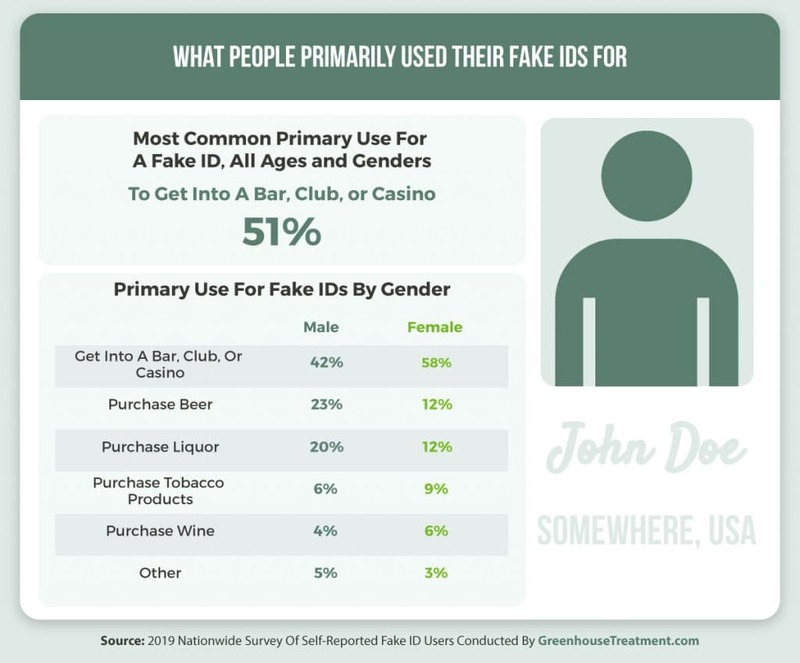 The most common primary use for fake IDs among all people was gaining admission to a bar, club, or casino, something that more than half of respondents said was their top use for their fake ID. Interestingly, we found that women are significantly more likely to use their fake for that purpose, clocking in at 16% more likely than men. On the flip side, male fake ID users were almost twice as likely to use their fakes primarily to purchase beer and liquor. With so many people reporting fake ID use, we had to see just how well they actually work. 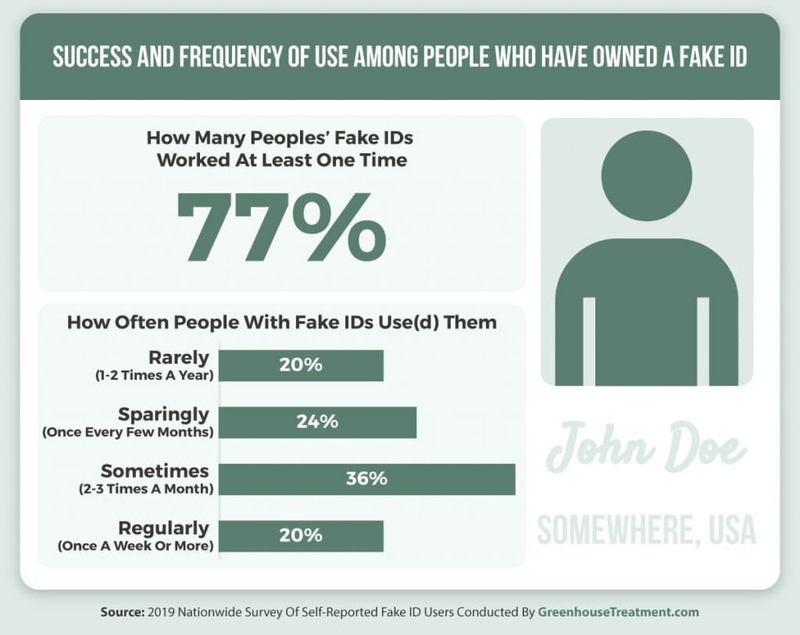 More than three-quarters of fake ID users reported that their false identification worked at least one time, an extremely high success rate. No matter how effective a fake ID is, eventually everyone does stop using them at some point. The top reason people gave for discontinuing the use of their fake ID was, unsurprisingly, that they became the legal drinking age. But, we did find that about 50% of respondents used their fake for more than a year before reaching that point. 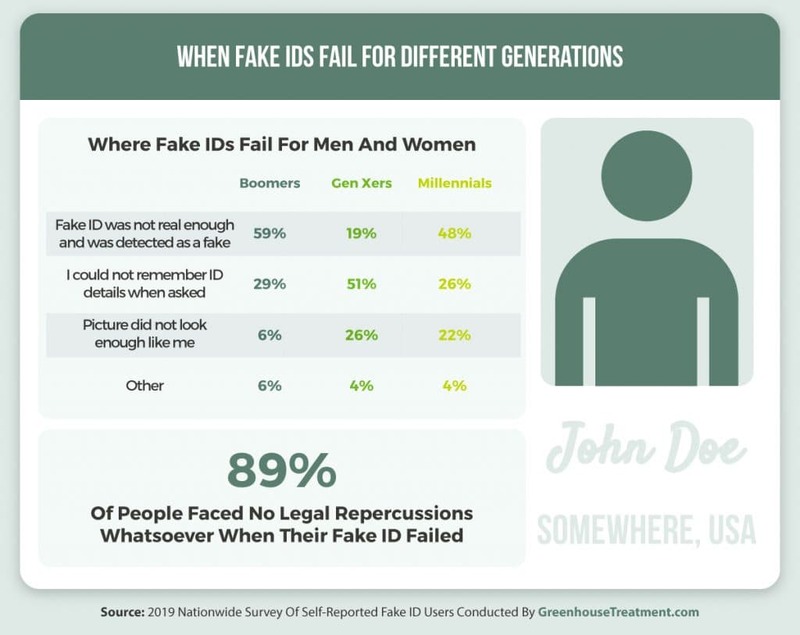 One interesting tidbit this portion of our survey revealed, however, is that Millennials are over seven times more likely to simply lose their fake ID than Baby Boomers. While our survey did not give us any solid insight as to why the numbers are so disproportionate between those generations, we found the disparity to be too interesting not to point it out. While the majority of people stop using their ID once they become old enough to buy alcohol legally, there are still plenty of people who have their fakes fail on them. 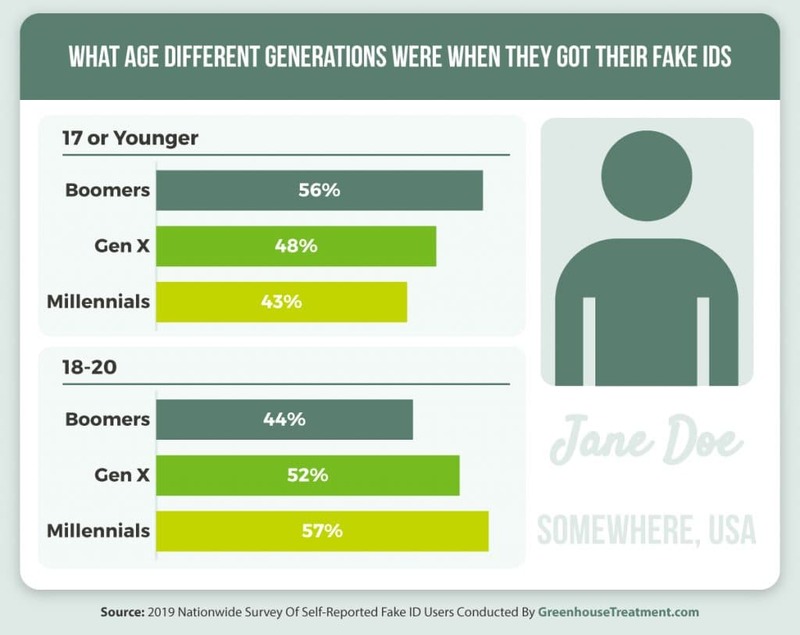 We asked those people why their ID was detected as fake and, interestingly, the two generations with the largest age gap, Boomers and Millennials, cited that their fake ID was not real enough and it was detected as false. Gen Xers, on the other hand, had few issues in that regard and instead struggled to remember ID details when confronted about them. 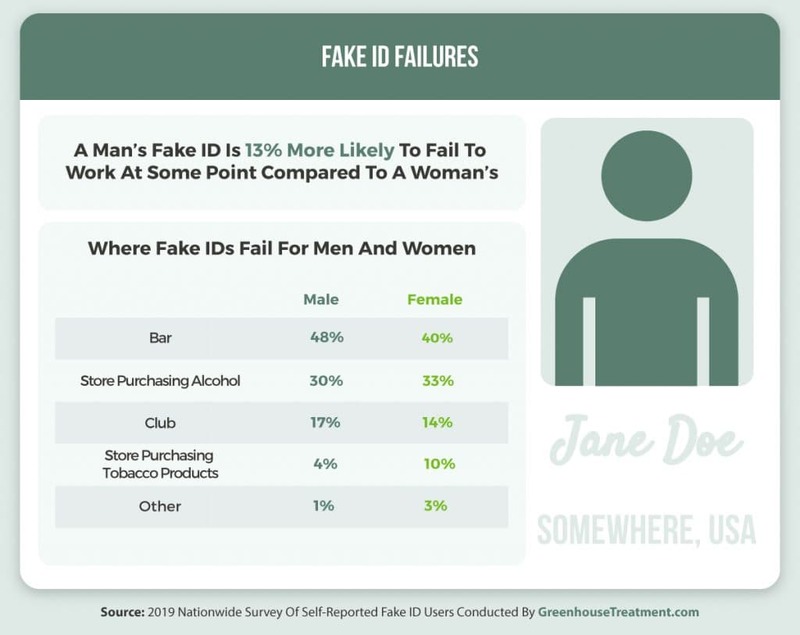 Knowing WHY fake IDs fail, we also looked into WHERE they fail, and broke that out along gender lines. Overall, we found that a man’s fake ID was 13% more likely to fail at some point than one used by a woman. Men were also 8% more likely to see an ID fail at the bar compared to women. Finally, we asked our survey respondents to tell us which items on their fake ID were different from their real ID (excluding age, obviously). 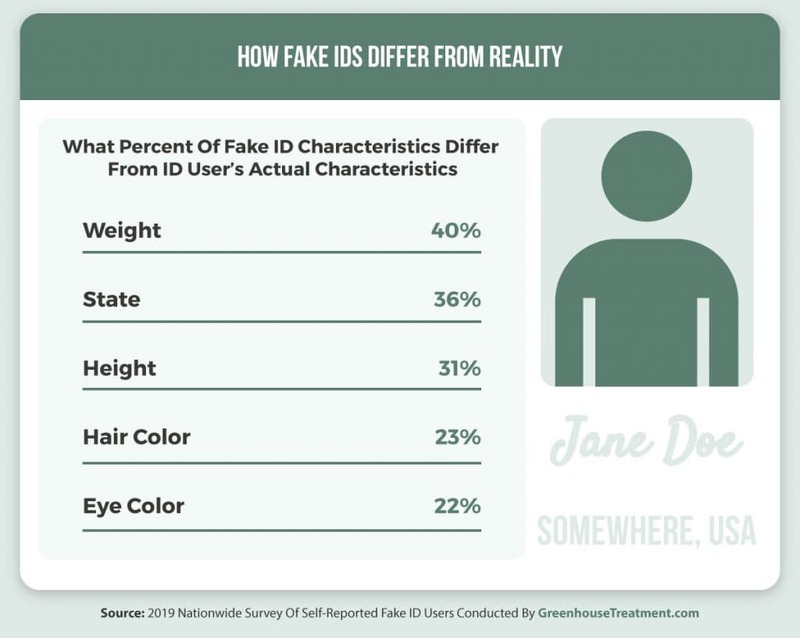 We found that two different data points, weight and the state the ID is from, were different on over one-third of all fake IDs, while people made sure that the more easily identifiable characteristics like eye and hair color matched reality. Even though having a fake ID is seemingly a right of passage for young adults, we would like to remind you that they are illegal and the consumption of alcohol when you are underaged can lead to alcohol-dependency issues later in life, and studies have linked fake ID ownership to increased risk for heavy drinking behaviors. If you are experiencing those types of issues, we’re here to help. If you or someone you know has problems with alcohol and alcohol dependency, don’t hesitate to contact Greenhouse Treatment today.